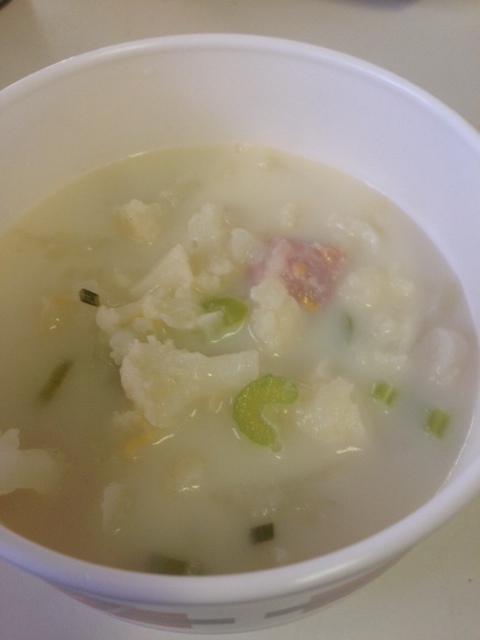 Like Baked Potato Soup without the carbs! Add all broth, water, ham, onion, celery, garlic powder, salt, pepper and cauliflower to large saucepan. Bring to a boil then reduce heat and simmer until cauliflower is tender. Mash cauliflower a little with potato masher. Add milk, hot sauce, cheese and chives. Stir cheese in well and serve. Yield: 5 servings. Per serving= 155 Calories; 5g Fat (25.3% calories from fat); 19g Protein; 14g Carbohydrate; 4g Dietary Fiber; 21mg Cholesterol; 867mg Sodium. I liked them! I think they would be even better with some diced roasted green chilies. Preheat oven to 415°. Bring water to a boil in medium saucepan; add grits and cook about 6 minutes. Add cheese and stir until its melted. Add milk, eggs, pepper, salt and sausage. 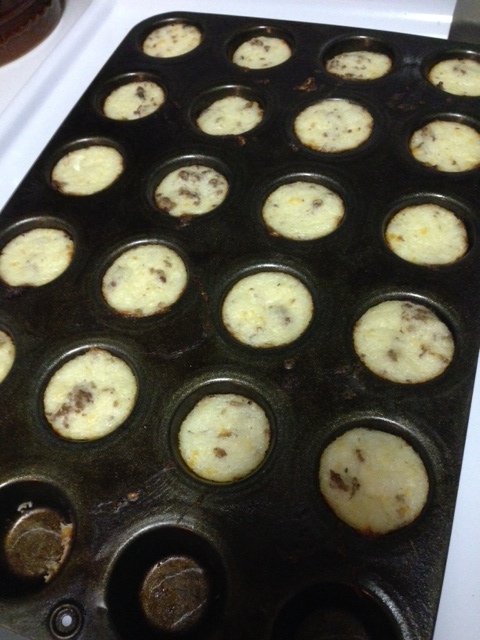 Spray mini muffin pan with cooking spray. Scoop grits mixture into each muffin cup, filling ¾ full. Cook 30 minutes or until set in the middle. 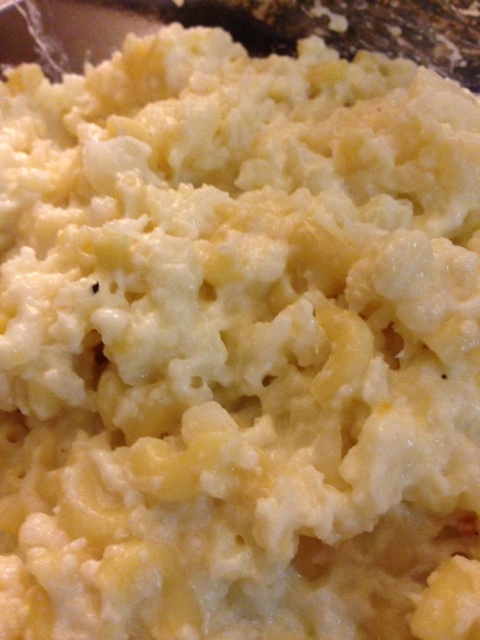 Ease those mac and cheese cravings with less carb guilt. Boil water in large saucepan. Chop cauliflower into flowerets and place in saucepan. When cauliflower is almost tender add pasta. Drain. Mash cauliflower lightly with potato masher. Add remaining ingredients and mix well. Yield: 5 servings. Per serving= 149 Calories; 5g Fat (27.1% calories from fat); 9g Protein; 22g Carbohydrate; 6g Dietary Fiber; 14mg Cholesterol; 196mg Sodium. They fell apart when I spooned them out of the pan, but they tasted good anyway. Start lasagna noodles in a saucepan of boiling water. Meanwhile, in medium skillet, brown ground beef. Add garlic powder and onion powder. 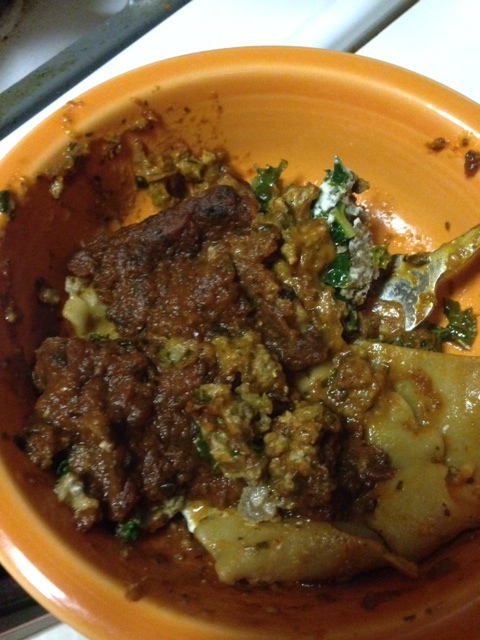 In a medium bowl, combine cream cheese, Parmesan cheese, kale, Italian seasoning, and ground beef. Drain noodles. In each noodle, place a ¼ of the beef mixture and roll noodle around it. Place in 1.5 quart casserole dish, seam down. When rolls are in dish, top with tomato sauce. Yield: 4 servings. Per serving= 346 Calories; 20g Fat (51.0% calories from fat); 18g Protein; 26g Carbohydrate; 4g Dietary Fiber; 62mg Cholesterol; 855mg Sodium. This was good, but a little dry. I think it could use 1/2 c. unsweetened applesauce. And more rum extract and nutmeg. The eggnog flavor wasn’t as strong as I would have liked. Preheat oven to 350 degrees. Beat all ingredients together at low speed with an electric mixer until blended. Increase speed to medium and beat 2 minutes. Pour into a lightly greased 9 x 5 inch loaf pan. Bake at 350 degrees for 1 hour to 1 hour and 5 minutes or until a long wooden pick inserted in center comes out clean. Cool in pan on a wire rack 10 minutes. Remove from pan to wire rack and cook completely (about 1 hour). Heat oven to 400°F. Spray small oven-proof dish with cooking spray. In small bowl, stir Bisquick mix, egg white, water, Italian seasoning, garlic powder, and onion powder; spread in pan. Chop pepperoni and sprinkle over dough. Sprinkle with cheese. Bake 20 to 23 minutes or until golden brown; loosen from sides and serve. Preheat oven to 350°. Spray 9×9 pan with cooking spray. 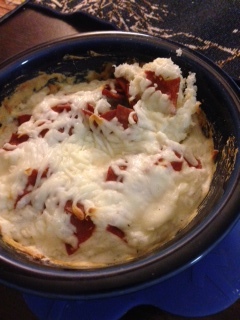 Add shredded potatoes and sprinkle with ham and cheese. Combine salt, pepper, eggs and milk in a medium bowl; whisk until well combined. Pour over potatoes in pan. 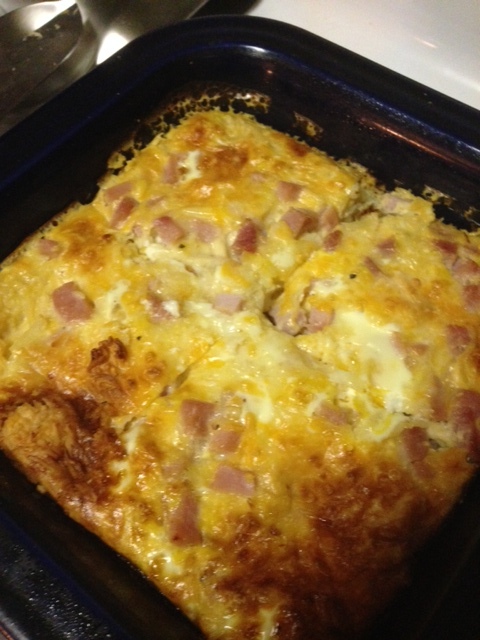 Bake 45-50 minutes or until lightly browned and eggs are set in the middle. Yield: 6 servings. Per serving= 326 Calories; 16g Fat (44.2% calories from fat); 17g Protein; 30g Carbohydrate; 2g Dietary Fiber; 156mg Cholesterol; 581mg Sodium.